Doorbell Cameras That Use CAT5 Cables: What Are My Options? CAT5 cables are generally designed for communication and not for power — but that works out well where a doorbell is concerned. Many of the smart doorbells require these kinds of cables for communication, because they provide two-way audio along with video or still pictures. The power can be a separate cable, or it can even be a battery or other type of device. The main goal is that the security system is one that works for the homeowner, and if they want to use CAT5 cables for the doorbell they should have some choices. It’s not necessary to use these types of cables, but there are doorbells offered through a number of companies that allow for the use of them if that’s how a homeowner wants to do it. DoorBird is one of the most commonly used doorbell cameras that allow for easy use of CAT5 cables. Most doorbell cameras either don’t need them or don’t recommend them, and some also require CAT6 instead. It’s very important that a homeowner research what cables might be needed before they start using CAT5, in case that’s not going to work for that particular brand and type of doorbell. Why Would CAT5 Cables Be a Good Idea? Most people think that CAT5 cables would be a good idea for a doorbell because those are the kinds of cables that allow for communication. But these cables also aren’t for power or electrical, so it’s important that a homeowner doesn’t get that mixed up. It could end up being dangerous, and could put the homeowner at potential risk for fire and related kinds of problems. In some instances CAT5 cables can work fine, but it’s very important that homeowners pay close attention to what’s going to be run through those cables. Then they can protect themselves and have a doorbell camera that works properly. 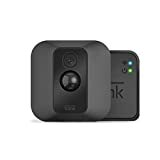 That gives them peace of mind on two fronts, and is a much better choice than a lot of the other options a homeowner might have for wiring up doorbells and cameras for the home. There are always options — it’s just important that the homeowner explores those options safely and doesn’t take a lot of risk with the equipment they use or the safety of their home. With security system options today, a doorbell camera is starting to become much more standard than it was in the past. Homeowners need to pay close attention to that, so they can focus all of their energy on the right system that will last them for a long period of time. It’s not just about the quality of the system, but also about making sure they get the kinds of things they want from the system itself. Then they can feel comfortable in their home, and know that the system is protecting them the right way. Those all matter along with the equipment, and it’s not always easy for a homeowner to get exactly what they want. 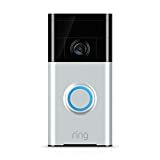 But there are many options for doorbell cameras today, and other types of equipment are always advancing. It’s a great way to work with a company to get a system the homeowner is very happy with, and can put their trust in.